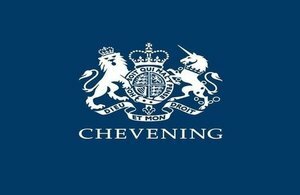 The British High Commission in Ghana is inviting applications from Ghana, Togo, Benin and Burkina Faso to apply for UK government's prestigious Chevening scholarships for the academic year 2019/20. Applications for Chevening Scholarships to study in the UK are open between 6 August and 6 November 2018, with applications to be submitted via Chevening website. Over the last 35 years, over 300 outstanding professionals from diverse fields in Ghana and 50,000 globally, have had the opportunity to develop in the UK through Chevening. There are more than 1,500 scholarships on offer globally for the 2019/2020 academic year, demonstrating the UK’s ongoing commitment towards developing the leaders of tomorrow. The UK continues to play a leading role globally. Home to some of the world’s best universities, brightest students, and most revered academics, the UK’s higher education sector promotes the exchange of information and ideas, as well as the building of knowledge and networks. Chevening Scholars find themselves immersed in that world, and emerge having grown academically, professionally, and personally as a result of their time in the UK. The call for new applicants follows the selection of 24 scholars from Ghana (Togo, Benin and Burkina Faso), who won an award to study at a UK university this year. Successful applicants have been sharing their stories through the #ChosenForChevening hashtag on Twitter and Instagram. Visit Chevening website for detailed information on the eligibility criteria and scholarship specifications.